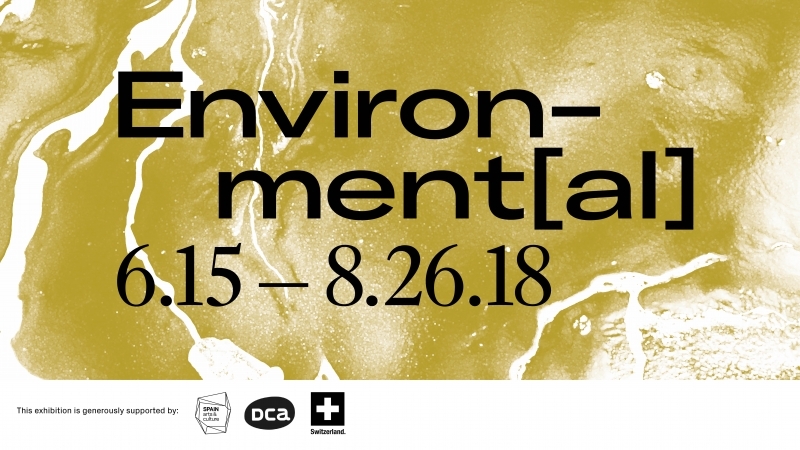 Environment[al] opens at the SCI-Arc gallery next Friday, June 15, and is a group exhibition including architects, designers and landscape architects Izaskun Chinchilla [Izaskun Chinchilla Architects], Enric Ruiz Geli [Cloud 9], Carme Pinós [Estudio Carme Pinós], Wolf Prix [Coop Himmelb(l)au], Gilles Retsin, with an exhibition landscape designed by Günther Vogt, Simon Kroll and Violeta Burkhardt [Vogt Landschaftsarchitekten]. Curators Herwig Baumgartner and Marcelyn Gow give us a preview. Tell us about the evolution of Environment[al]. Environment[al] began with a conversation about what the word environment means today in the context of climate change, rapidly depleting resources and the ongoing process of reconstitution of the built environment. SCI-Arc Director/CEO Hernan Diaz Alonso invited us to curate the exhibition using the SCI-Arc Gallery to bring together a collection of current thinking on what environment can be and how this might provoke a more profound awareness of the sites we engage on a daily basis. The idea of new authenticities and multiple histories led us to consider what a reconstituted landscape might look like; how might it be instantiated within a different site. The recent demolition of the 6th Street Bridge in downtown Los Angeles and the debris produced in the process provoked questions regarding the presence of the bridge and what it might become in a future iteration. We were also thinking about the vast concrete channel that is the L.A. River and what the river might transmute into if the concrete was extracted and moved to another site. We reflected on what constitutes the identity of the river and whether the reconstituted river can exist within the gallery walls. We invited Vogt Landschaftsarchitekten to design the landscape for the exhibition. They reflected on the tenuous nature of Los Angeles in relation to water. The historical relationship of the city of Los Angeles to the control of hydrological flows and its effect on both the depletion and subsequent remediation of the ecosystem of the Owens Valley watershed exemplifies the complex and sometimes radical performance of a synthetic ecology. How can post-digital design thinking take on climate change and other contemporary concerns in regard to ecologies and changing sites? What was the biggest challenge of transforming the SCI-Arc gallery into a landscape that is both a partial facsimile of the Owens Valley landscape and a reinstantiation of the L.A. River? Producing the fictional reconstitution of two sources [the Owens Valley landscape and the L.A. River] relied on transporting specific qualities that could be extracted, conceptually, from those sites. The act of attaching a new history to the materials that comprise the exhibition landscape required selecting things that would enable strong associations with other sites to be made. The concrete that lines the L.A. river channel and that once formed the 6th Street Bridge resembles the substrate that occupies the SCI-Arc Gallery. Likewise, the sound map of the L.A. River challenges the expectation of how a river should sound, becoming contaminated by the various sounds of both the desert biotope and urban life. To walk on this reconstituted landscape is to question the histories of both the building that contains it as well as the infrastructure that surrounds it.